Day 37 of illustrating everyday and behold my second piece using watercolours. All done with pencil, water colours on Canson paper and then scanned into Photoshop where I put the background in. 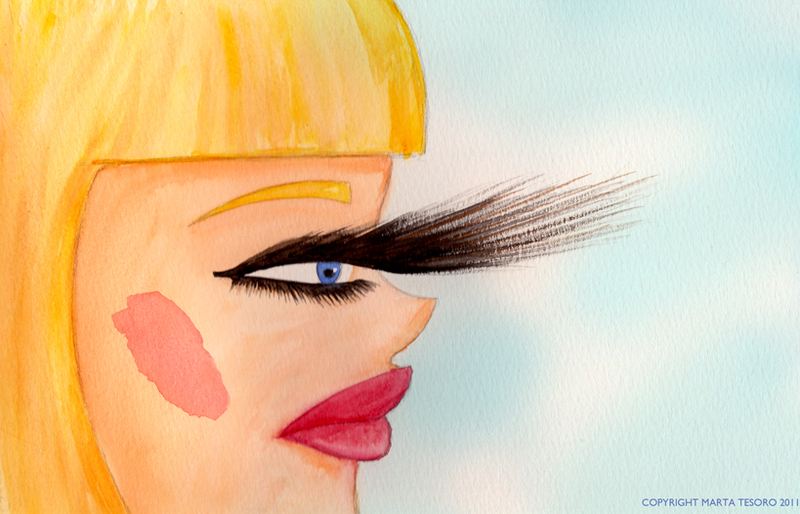 When I went out to lunch with my sister and her partner yesterday, we were in the car and across the road, at least 2 lanes away from us, we saw this woman with lashes so long we could see it a few metres away. There is some serious lashage going on if we could see her eyelashes from that far. She could stab someone with those...they were so thick and long. Sooooo long that they're probably illegal. On another note, seems like there's a lot of phone scammers popping up telling folks that they're system is full of malware, that they're from Windows and that you need to pay for a 1 time only registration fee to get your software up to date. Do not fall for this. These guys are scammers. If in doubt, get their phone number then ring a friend who knows about computers and explain the situation to them.